Barcelona’s chief and more concretely director of institutional and sporting relations Guillermo Amor has stated Brazilin star Philippe Coutinho does have a future at the club and has backed the star to come good. The Brazil international star has yet to justify his mammoth price tag and has very often found himself playing second fiddle to Croatian star Ivan Rakitic. 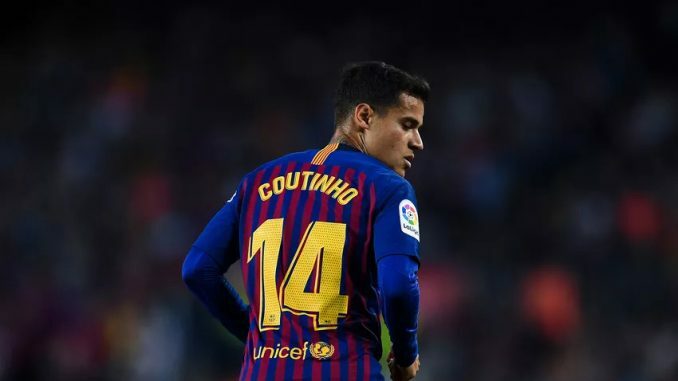 Coutinho found senior-team football difficult to come by before the turn of the year, which prompted rumours over his future at the Catalan giants. Philippe has since turned things around, starting in all of Blaugrana’s last five league matches. Coutinho’s deal with Barcelona expires in June of 2023, and Amor has insisted the club have every intention of letting the playmaker see out the remainder of his contract. “At the beginning with Coutinho, we were happy and have always been happy. It feels as if everyone is watching what he does, the poor guy. But we believe he’ll carry on going forward.” Guillermo told Sport. Amor’s comments on Philippe’s future echo those he made after it was reported that Ole Gunnar Solskjaer’s had launched an approach for the former Liverpool player. It was reported that Manchester United asked Blaugrana if they’re willing to part ways with the Brazilian, who they rated at £100 million. Express Sport, meanwhile, understands the west London outfit have asked to be kept informed of Catalan giants’ plans for Coutinho. Coutinho and his team-mates will be back in action in few days, welcoming relegation-threatened Real Valladolid to the Camp Nou on Saturday.